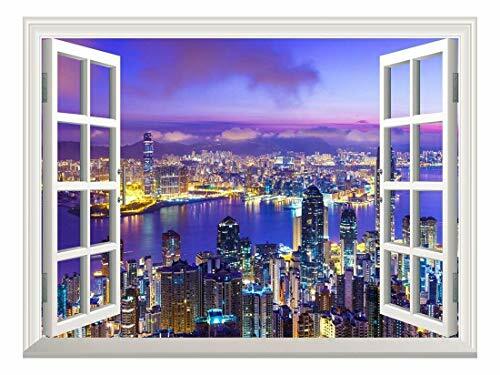 Removable Wall Sticker/Wall Mural - Beautiful City Skyline at Evening | Creative Window View Wall Decor - 24"x32"
This sticker is durable, high-quality, and beautiful. I love it above my desk where I spend so much time and can now pretend I am looking out over the beautiful city of Hong Kong! I was worried the smaller size would not be big enough but it is perfect.